It dawned on me when I arrived in Barcelona, that I didn’t really know much about the region of Catalonia and only visiting for a few short days, meant I wouldn’t have much of a chance to explore further, these northern reaches of Spain. Although camping along the coastline of of its gorgeous mainland, has been one of the most enjoyable trips I’ve ever done. The mountains of Catalonia, i’ve not been fortunate to explore. I still plan to take my husband up into the mountains to Montserrat on my next visit. Situated an hour from central Barcelona by train or car. If you don’t fancy exploring alone, you can use a reputable tour provider like Viator – Historical Montserrat half-day hiking tour from Barcelona. Even if on a short break. Being picked up from Girona or Barcelona Airport by Panaroma Trails and you will find one of the many options for horse riding in Catalonia. This trip with the company grabbed my attention, as a lover of both mountain and sea. A fresh and saltwater mountain and sea trail. 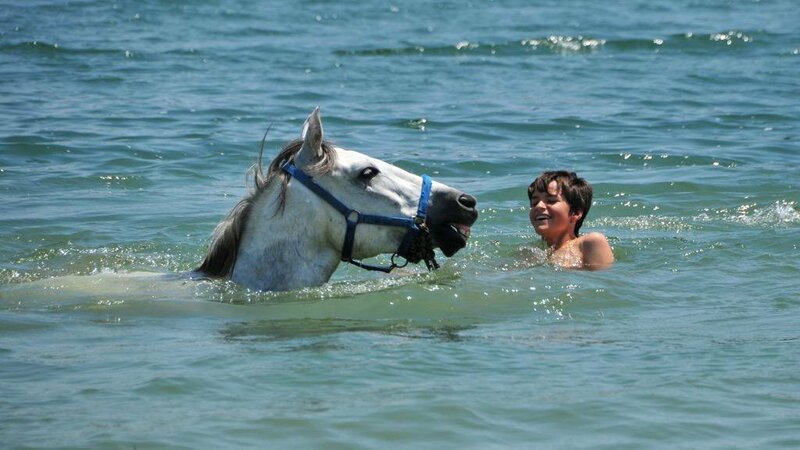 Both riding and swimming with horses. What’s not to love! What could be more delicious than flying into Barcelona for a weekend yoga retreat, right on our UK doorstep. Check out BookYogaRetreats.com to find a trip to suit your style! One of the best experiences I had in Barcelona, was a private cooking experience with Yves, the Social Cooker. Whether you want to wander the food stores of the historic La Boqueria market before translating what you buy into a traditional catalonian dish or you like the idea of sailing and fishing in front of the Barcelona skyline. Ending an 8 hour day with hands on cooking class. Then this Chef is for you! Catalonia is a wonderful place to visit. Not just to enjoy the gothic quarter of Barcelona or spanish cuisine. Get out of the city and explore a little more. Let me know what you enjoy!